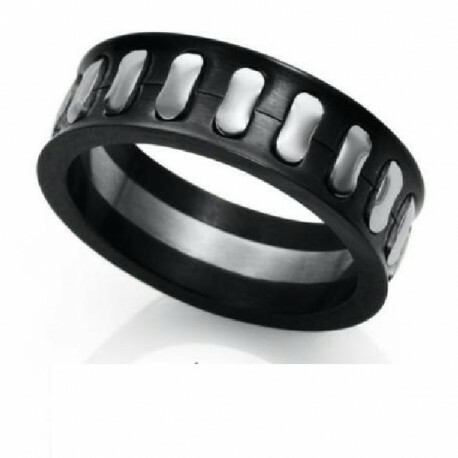 Ring VICEROY steel CONBINED in IP black man. THE SIZE IS AS NO. 24 UNIVERSAL JEWELRY STICK TATUM. MEASURES of width 8 mm.